Bridge24 for AceProject adds additional functionality to AceProject, especially in reference to reporting and data exporting. Bridge24 can create charts and also formatted reports, providing AceProject users new ways to present their data outside of AceProject to managers, co-workers and other stakeholders. This week saw the introduction of Advanced Reports. Users can now prepare a 2 level report (grouping) and include up to 4 more fields in addition to the task name. This easy to use report creation tool also allows you to export the report into a convenient PDF or Excel file, as well as others. Select the Second level grouping parameter and fields to include, then generate. The report is created and the user can navigate directly and then export to the desired format such as PDF or Excel. 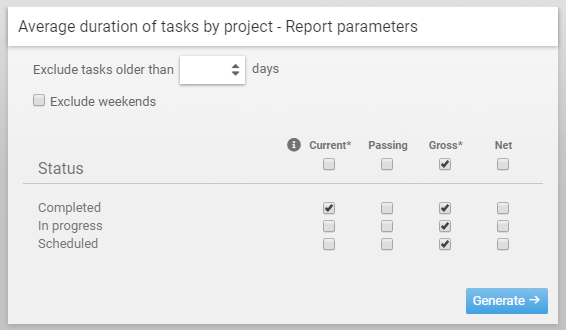 This report allows you to calculate the average and cumulative duration (in days) of tasks by project and by status. The user must specify input parameters, such as statuses, that are to be considered in the calculations. 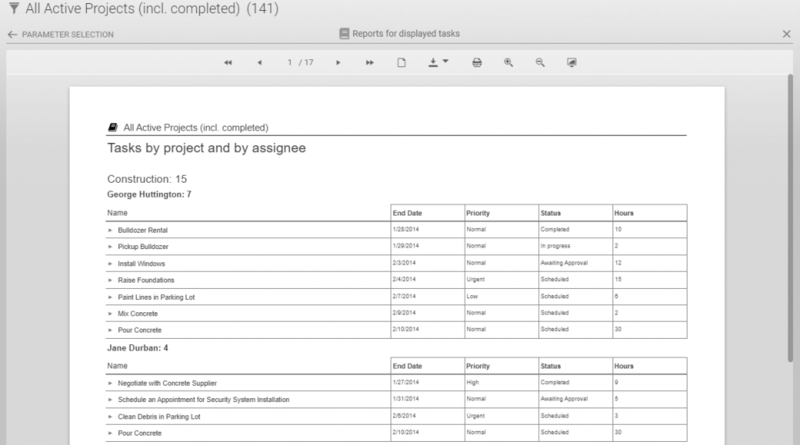 Access through Reports>Reports for Projects. A project or a filter containing 1 or several projects must be selected. A good use of this report is to find out how much cumulative time has passed for tasks leading up to being completed. A major migration of the infrastructure supporting AceProject has been completed. Performance has drastically improved in terms of page loading. Click here for more information on the change to Amazon EC2. Do you require a custom report output or other need? We are able to accommodate through our Custom Development possibilities built in Bridge24. Bridge24 can be used to view and update tasks directly. It is like a new interface to interact with your tasks. Some users prefer this alternate interface and now work exclusively through Bridge24! The flexible Grid mode allows you to change column positions, widths, and also allows grouping. 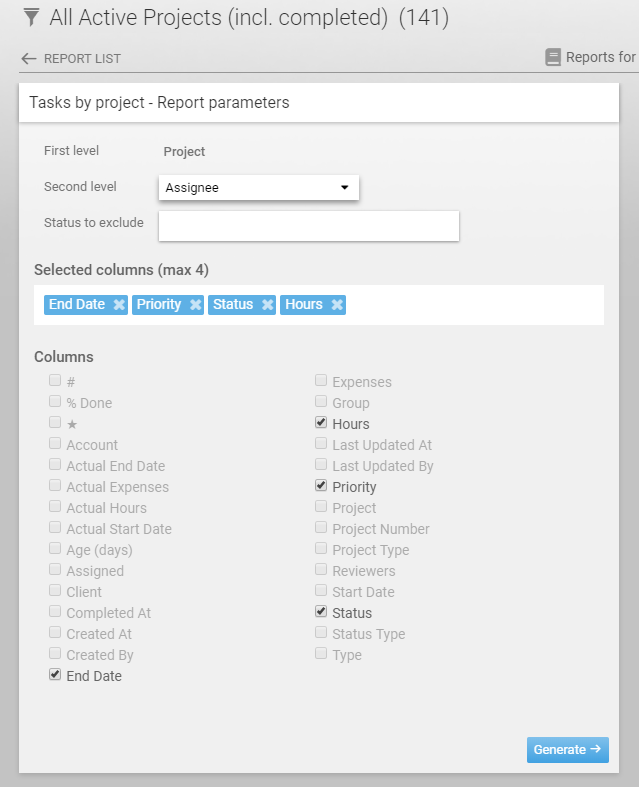 View your project as a Board and drag tasks from one column to another to change status. Charts, Reports, History, and more!